Master's DegreeHarvard T.H. Chan School of Public Health-International Health Systems Program. Dr. Dithan Kiragga is a medical doctor who brings 19 years of expertise in complex project management and leadership, HIV/AIDS prevention, care and treatment, tuberculosis and malaria control, Family planning and reproductive health, nutrition and childhood illnesses, Health Policy and lobby, grants and subcontracts management, resource mobilization, quality of care, health systems strengthening, and public-private partnerships. Dr. Kiragga currently serves as Chief of Party (COP) for USAID/Uganda's Private Health Support Program implemented by Cardno Emerging Markets USA, Ltd (Cardno). In this role, he is responsible for all aspects of program development, technical and financial management, monitoring and evaluation, and reporting, assuring quality, impact and cost effectiveness for the successful implementation of the project. As the COP, he fosters and maintains collaborative working relationships with Uganda government officials, the Ministry of Health and its related agencies, key stakeholders and international and local partners. He also maintains a collaborative relationship with USAID, ensuring activities and project targets are closely monitored. He provides effective management and support of staff and provides guidance and assistance in reporting, documentation, and knowledge management. Most recently, Dr. Kiragga has served in a similar role as the Chief of Party for USAID/ Uganda's Health Initiatives for the Private Sector (HIPS) Project that was implemented by Cardno Emerging Markets USA, Ltd (Cardno). As the COP he led to the accreditation of 100 private sector facilities for ART and 45 for TB services; and together with key professionals established the Uganda Health Care Federation (UHF), an umbrella group for the Private Sector in Uganda. Dr. Kiragga has served in senior health care systems planning and management roles in developing countries including Uganda, Rwanda and East Timor. As Country Health Advisor for Plan Uganda, Dr. Kiragga oversaw the implementation of HIV/AIDS, PMTCT-plus, malaria, child survival and partnership programs. For the USAID funded Delivery of Improved Services for Health II (DISH II) Project he managed service delivery and a quality improvement initiative (Yellow Star Program) developed with MOH. Dr. Kiragga also managed the rehabilitation of the health service infrastructure and the establishment of functional health systems on World Bank post-conflict projects in East Timor and Rwanda. He has a medical degree from Makerere University, Uganda; a MPH from the University of Liverpool, UK; and a MSc in International Primary Healthcare from the University College of London, UK. 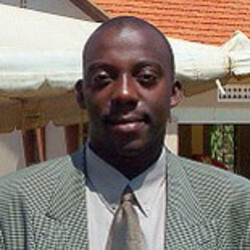 A native of Uganda, Dr. Kiragga speaks fluent Luganda and English.